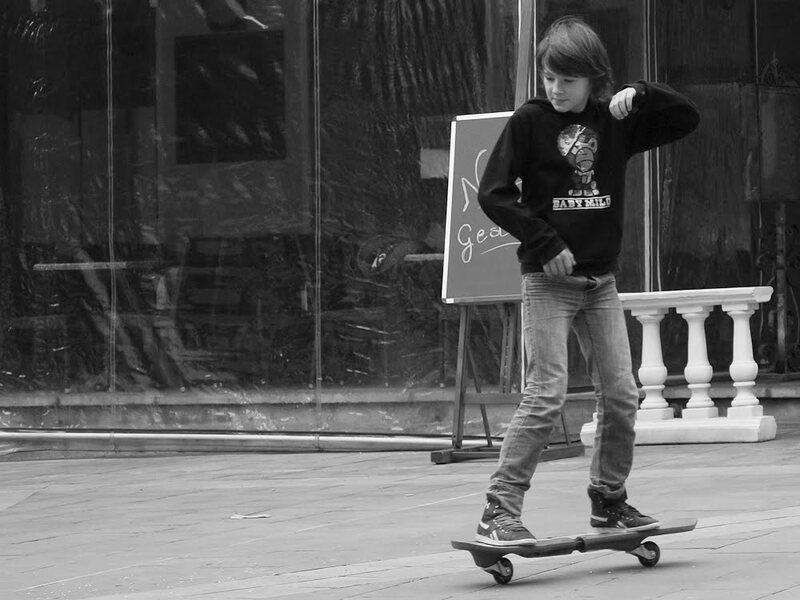 The Place du Cap in Menton is a good place to skateboard - especially on chilly winter days when there aren't so many people about. La Place du Cap à Menton est un bon endroit pour faire du skateboard - surtout au cours des jours froids de l'hiver quand il y a peu de gens dehors. yes, in winter only.. there's so much peope here as soon as the sun comes back! The kid looks like he knows what he's doing; ah, to be young, agile and unafraid! What a beautiful boy. So full of grace. I bet he was fun to watch. My guess is that there are not a lot of skateboarders in nearby Monte Carlo. He must be a more advanced boarder than most, as his board has only 2 wheels instead of the usual 4. Way to go kid! This type of skateboard (2 wheels with pivoting twin deck) is called a ripstik and are all the rage in Australia. Glad to see kids having fun outdoors. Never seen a 2 wheeled skateboard. Cool dude! The "ripstik" appears to take even more skill than a more traditional board ... which is so far beyond me I can only stand in awe!